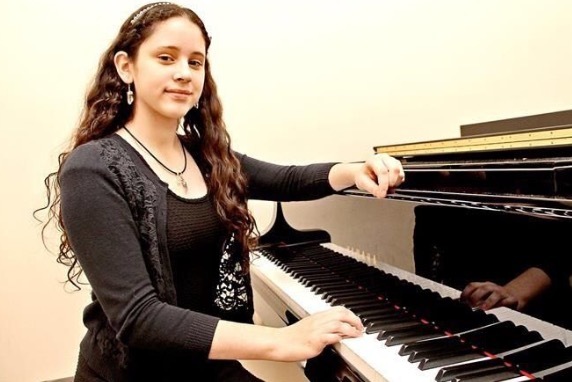 Miranda Lemoine Moreno was born on June 2 2004 on Monterrey N.L,she started practicing the piano in 2009. She has participated in various international events, festivals and masterclasses in 2012 and 2014. She has also attended to international Festival of Mexican Music in Tabasco and in Cancun‘s International Festival. She is student in the Faculty of Music of the UANL in a special group of talent. Her mentor is Dra.Antonina Dragan. In the month of November 2017 she participated on Piano Contest Claudio Herrera in Durango when she obtained 3rd place on her category.